As we kick off a new year, it also means it’s time to address the business community for my annual State of the City. The event is hosted by the Greater Niagara Chamber of Commerce and takes place on February 13, 2019. 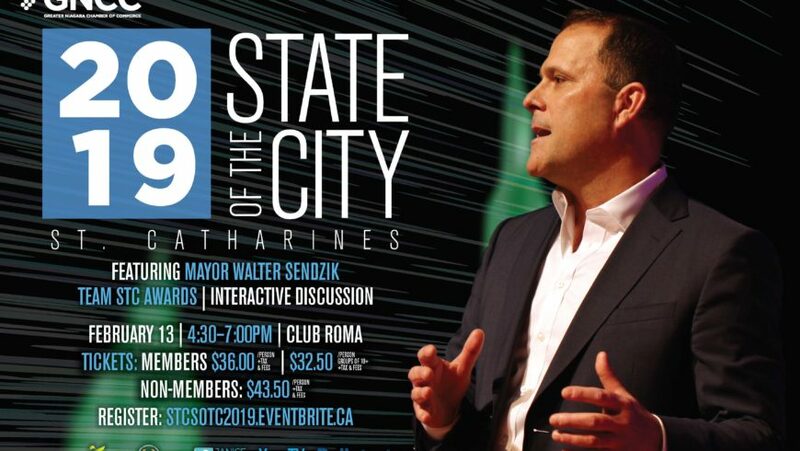 I look forward to the opportunity to share my vision for our city, have an interactive discussion, provide an update on developments in the city and look ahead to what’s to come. Another highlight will be the 2019 Team St. Catharines inductees. 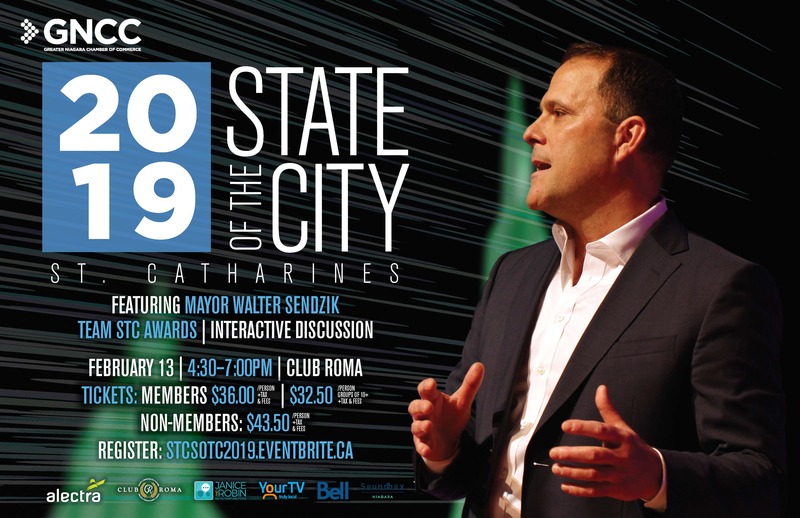 This program was announced at my first State of the City in 2015 to to acknowledge the wonderful contributions of businesses to our city, while thanking them for being the team players that make this such a great place to live.